Manufacturing is an ever-changing industry. Therefore, being able to adapt and customize products as the client needs is priceless. Tubular technology is one of the ways we aim to keep our clients happy. Due to tubular manufacturing, we have the ability to make custom pieces that perfectly fit the needs and expectations of our clients. And with new equipment as far as tubular design is concerned the possibilities are endless. Tubular manufacturing is creating tubing and tubular parts specific to the needs of our client. Gone are the days of only being able to buy generic tubing. With tubular manufacturing, we create tubes of all different shapes, sizes, and materials. Varying forms are now a possibility. Imagine tubes that are round, square, ovular, multi-sided, triangular or any other custom shape. You name it, we can make it. Best of all, we use the best materials to form them. These include durable materials such as Martensite, Aluminum, and CRS. In fact, round tubes are no longer your only option. Technology has allowed us to become more creative and better answer our clients’ specific needs. Just recently, we acquired two, especially relevant new pieces of equipment that are making our tubular manufacturing even better. 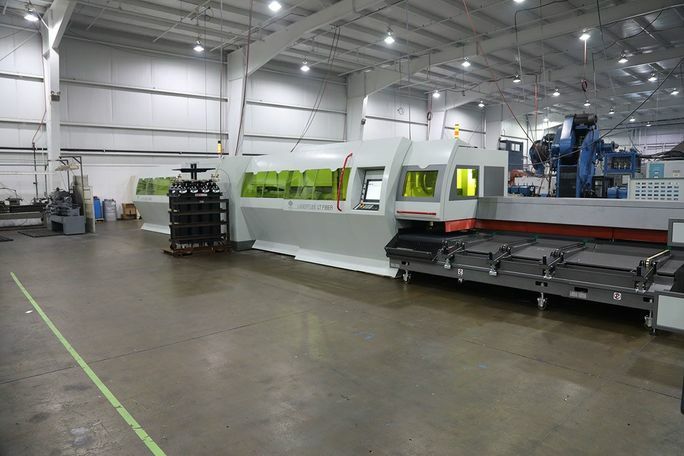 The first of these new machines is a 3D fiber laser cutting machine. This machine allows easy cutting of curved surfaces. First of all, the laser optimizes our precision cutting on your custom tubing, and even reduces mold investment. It shortens the development cycle and improves efficiency, repeatability, and precision; which is not only good news for us, but also for our clients. The second addition is a CNC tube bender. Our new CNC tube bender gives us additional precision in bending tubing. Because of added precision, products are ready that much faster. These new machines are a great addition to the quality and customization our tubular manufacturing. The advancements in tubular manufacturing result in greater customization. Finally, if a client needs a square laser cut tube, we can produce it. The benefit of custom manufacturing means you no longer have to put a whole bunch of pieces together or compromise on design. With the development of programmable machines, designing and forming unique shapes is not only attainable, but it is also repeatable. Moreover, as these machines take over production, they also increase the possibility of uniformity. Custom manufacturing means you don’t have to just work with what’s on the rack; you can create your perfect piece. LTC Roll and Engineering is transforming the way our industry looks at tubular manufacturing. Furthermore, we give our clients the opportunity to customize their tubing exactly how they want it. Let us bring your custom tubing needs to life. Because with tubular manufacturing there are no limits. Give us a call today at 586-465-1023.